Our Pure-Alpha is a stunning and simple door which exudes an ultra-contemporary style and fits perfectly into a modern interior. 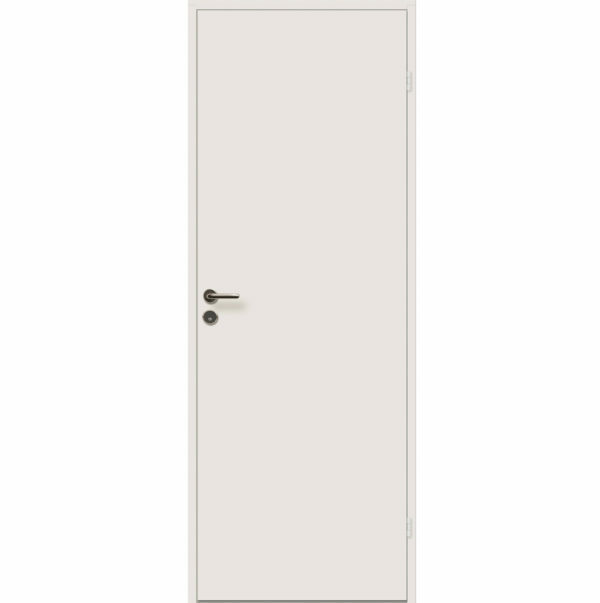 The minimalist door is set off by minor details which give the door an elegant and upmarket appearance which is supported by its high quality feel.The door has been designed specifically to complement a minimalist interior and provide a clean and clinical overall look to a room. You can choose a semi-solid (honeycomb) or a solidwood(particle board) white panelled door. Supplied with matching architraves and end mouldings as part of the door set.